For many people, Antarctica and the South Pole are synonymous. However, Antarctica refers to an entire continent, more than 6,000 km on its longest axis, while the Geographic South Pole is a specific point in the continent’s interior (i.e. the southern point of the axis around which the earth rotates). Most people who visit Antarctica go no further than the coast or the edge of the fast ice, more than 2000 km from the South Pole. Passengers on Antarctic cruise ships out of Ushuaia or Punta Arenas (at the southern tip of South America) visit the tip of the Antarctic Peninsula, about 3000 km from the South Pole. ANI selected their blue-ice runway at Union Glacier as a centrally-located hub to access the two most sought-after destinations on the continent – Mt Vinson (the highest peak) 120 km to the north-west, and the South Pole 1180 km to the south. They provide several options for accessing the South Pole from Union Glacier, including skiing or walking from the ‘coastline’ (typically a 50-60 day feat of endurance), skiing the last degree or half degree (i.e. 110 km or 55 km), or the least strenuous option is a direct flight from Union Glacier. Part of the fascination with the South Pole harks back to the heroic era of polar exploration, particularly the southern summer of 1911-12, when a Norwegian team led by Roald Amundsen and a British team led by Robert Falcon Scott vied for the prestige of being the first to reach the pole. Both teams started out from the Ross Sea coastline (south of New Zealand), with Amundsen and his four companions (Bjaaland, Hanssen, Hassel and Wisting) using dog-teams to pull their sleds, and Scott, Wilson, Oates, Bowers and Evans man-hauling theirs. Amundsen got underway first, leaving the Bay of Whales on 15 October 1911, and reaching the vicinity of the South Pole on 14 December 1911, where he stayed a further three days to fix the location as accurately as possible. Scott and his companions set out from Cape Evans on 3 November 1911, and reached the pole on 18 January 1912, a month after Amundsen. In perhaps the most poignant example of heroic British failure, all five of Scott’s team perished on the return journey. However, the feats of both leaders are honoured in the name of the US Amundsen-Scott South Pole Station, constructed at the Geographic South Pole in 1957. Our visit to the Geographic South Pole by Basler (DC3) aircraft from Union Glacier was exactly 103 years after Amundsen. Using Greenwich Mean Time (as did Amundsen), we were at the pole on 15 December – during the period that Amundsen was confirming his location. Amundsen encountered a featureless plateau of ice, 2800 metres above sea level, and took several days of sun-compass readings to determine the approximate location of the Geographic South Pole. One hundred and three years later, we encountered a very different scene. 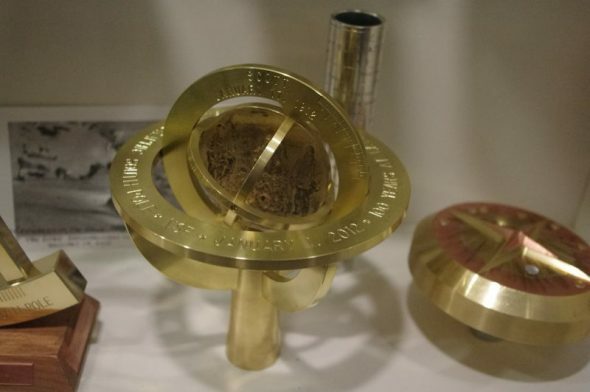 In addition to the large (150 person) ‘third generation’ Amundsen-Scott South Pole Station and associated facilities and structures, there were two monuments representing the location of the Geographic South Pole itself. 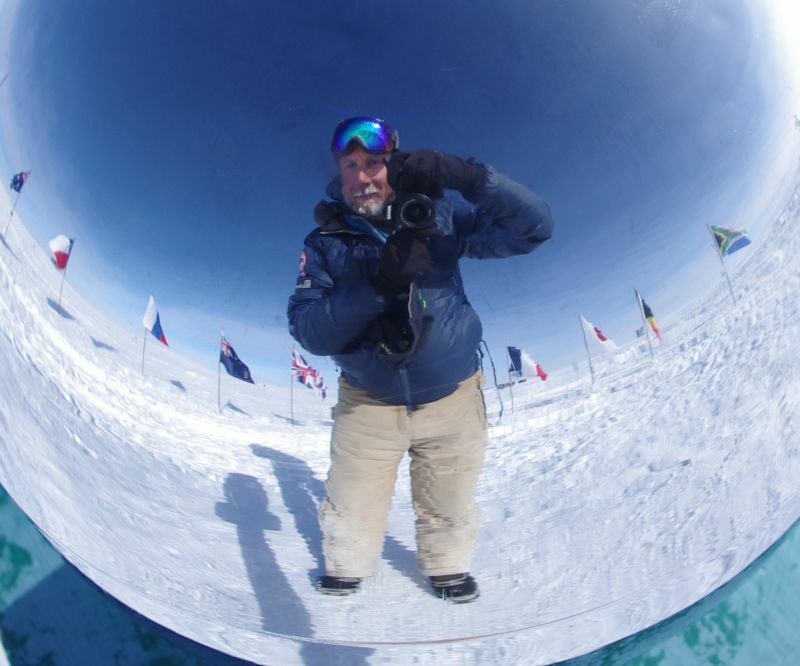 One is known as the ‘ceremonial pole’ – a polished silver globe surrounded by the flags of the twelve original signatory nations of the Antarctic Treaty. The ceremonial pole has been in its current location since the mid 1990s, but as it is situated on glacial ice (3 kilometres thick) that is moving at a rate of 10-15 metres per year, it is no longer situated above the actual pole. The over-wintering staff at Amundsen-Scott Station have an annual competition to design and make a new South Pole marker, which is erected at the true South Pole on 1 January each year, with the previous years’ markers kept in a display case inside the station. As we visited the pole only 16 days before the end of the calendar year, the 2014 marker had almost completed its march away from the true pole. 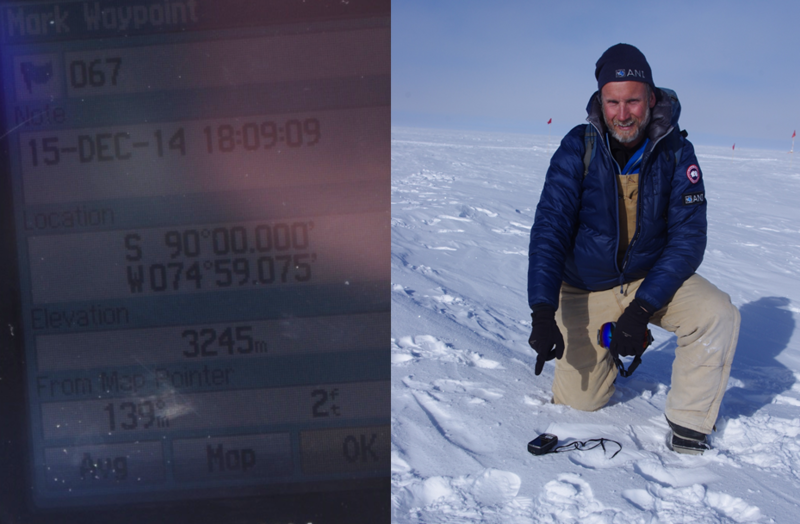 I used a hand-held global positioning system (GPS) unit to locate exactly 90 degrees south, which was 13 metres from the 2014 marker, and 260 metres from the ceremonial pole. Flying to the South Pole requires very little physical effort, other than a 500 metre walk from the ski-way where we landed. But there is sufficient risk of harm from the effects of altitude and extreme cold that ANI always sends one of the camp’s two doctors on the flight. As mentioned earlier, the South Pole is about 2800 metres above sea level. However, the apparent altitude is exacerbated by Antarctic geography. The continent is highest and coldest in the centre. Gravity pulls the dense cold air away from the pole and out to the coast, creating the katabatic southerly winds that are a feature of Union Glacier. This creates an area of low air pressure centred on the South Pole, which has an oxygen density similar to that found at altitudes of 3400 m asl elsewhere on the globe. The low oxygen density at the South Pole (and in unpressurised aircraft flying to and from the pole) can cause altitude sickness. 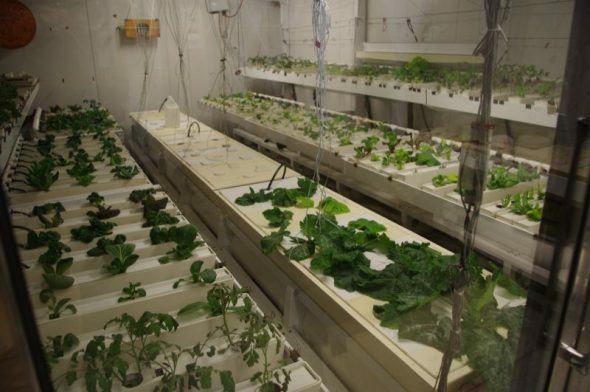 Typical symptoms including shortness of breath and energy, rapid breathing, increased pulse rate and increased blood pressure, as the body struggles to extract enough oxygen from the thin air. The air temperature was about 20 degrees colder than our departure point at Union Glacier, and was about minus 30 degrees Celsius during our visit. Fortunately the wind had died away, and so it was possible to leave skin exposed for a few minutes for photographs without risk of frost-nip or worse. One of the quirks of travelling to the South Pole from Union Glacier is the 16 hour time difference due to the respective airports and nations that each Antarctic site is typically accessed from. We reached Union Glacier from Punta Arenas in southern Chile, and so were on Chilean time (Greenwich Mean Time minus 3 hours). 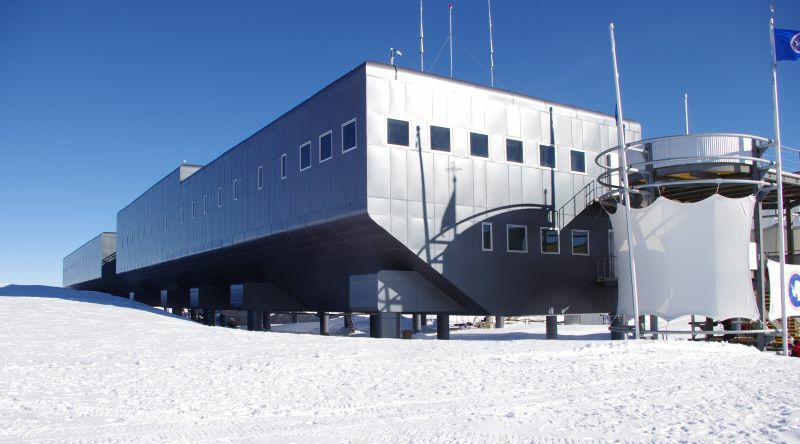 The Amundsen-Scott South Pole Station is accessed from Christchurch (New Zealand) via McMurdo Station in the Ross Sea sector, and so runs on New Zealand time (currently GMT plus 13 hours). We departed Union Glacier at midday on 15 December local time for the 4 hour flight that got us to the South Pole at 8 am on 16 December (NZ time) for our 3.5 hour visit. We departed at 11:30 am on 16 December, and arrived back at Union Glacier at 11 pm on 15 December, in time for a late celebratory dinner – a fitting end to a truly remarkable day. Te Papa vertebrate curator Dr Colin Miskelly visited Antarctica during November-December 2014 as a guest lecturer for Adventure Network International (ANI). This is the final blog in a series based on his experiences in Antarctica, and particularly at the Gould Bay emperor penguin colony in the southern Weddell Sea. Very interesting Colin. Especially re the GPS and the drift of the ice cap! If you had rotated your GPS, could you have got Longitude 0°000.000′ (W or E)? Perhaps if I had more perseverance. It was enough of a challenge getting latitude to precisely 90°00.000′, and the longitude was bouncing all over the place. As all longitude lines converge at the pole, the longitude reading is meaningless. But another line of fat zeros would have looked great! All I can say to this blog is – WOW!! THANKS Colin, and I am sorry to be missing you and Kate at Rachel’s birthday. Have a long-standing date in Auckland tha day. Next time. Thanks very much for your feedback on this and other blogs in the series.